Cuts and lacerations should be treated immediately to prevent infection and promote healing. 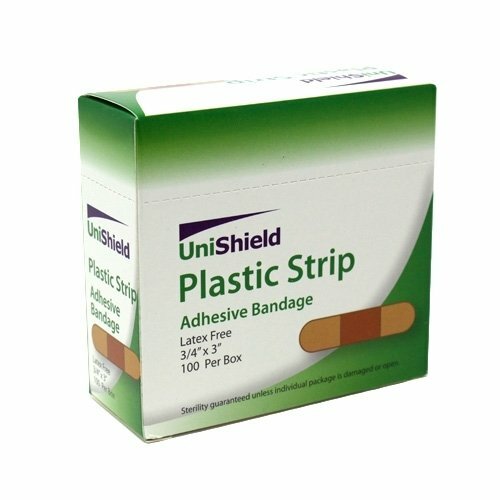 In our online first aid catalog, we offer a full line of bandages for wound care to deal with cuts, scrapes and lacerations. 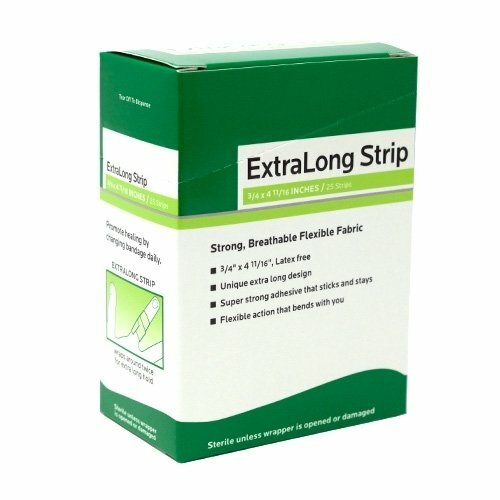 You will find in the products below many styles of bandages for different applications. 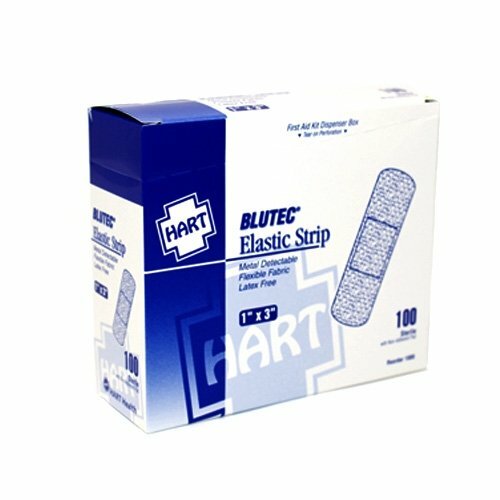 First, we offer butterfly bandages which are great for closing deep lacerations to promote healing of deep cuts, an essential type of bandage that is really important to have in your first aid kit especially on job sites where accidents can occur. 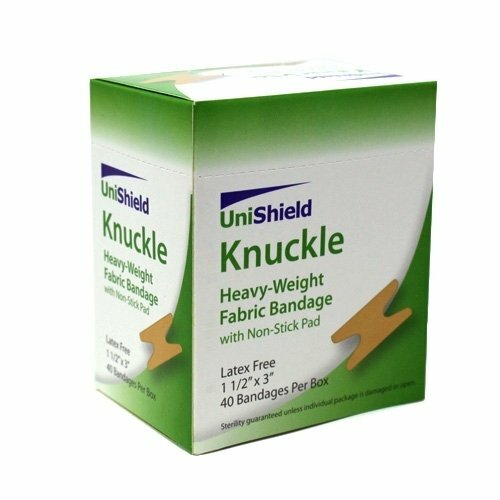 We offer many elastic strip bandages in multiple sizes for minor cuts and scrapes, knuckle bandages with a heavy woven non latex adhesive with an H style design so it will not fall off. We also carry a metal detectable adhesive bandage commonly used in food preparation made of a stretch water resistant foam with a bright blue color to spot if they fall off. For more information on each of the bandages we carry for wound care, please view the details of all the bandages below. 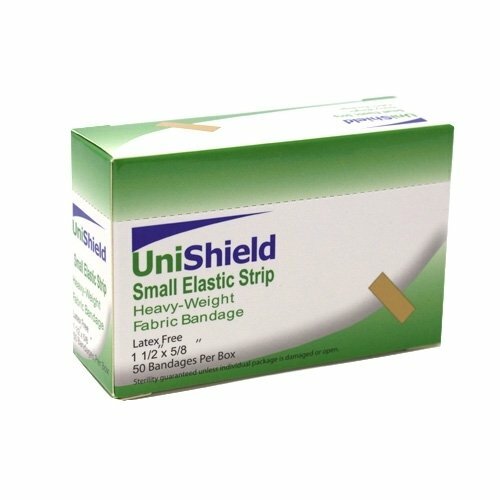 You will find many of these wound care dressing items staple in most first aid kits. First Aid Supply is essential in any working environment, residential home and automobile in case an accident occurs. You can order online or give us a call for more information about our first aid products. 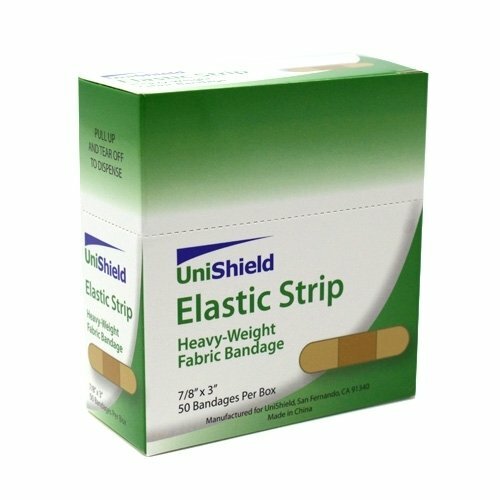 Provide unequaled protected for small wounds in small places with these 1.5” x 0.625” elastic fabric adhesive bandages. A must for any first aid kit. 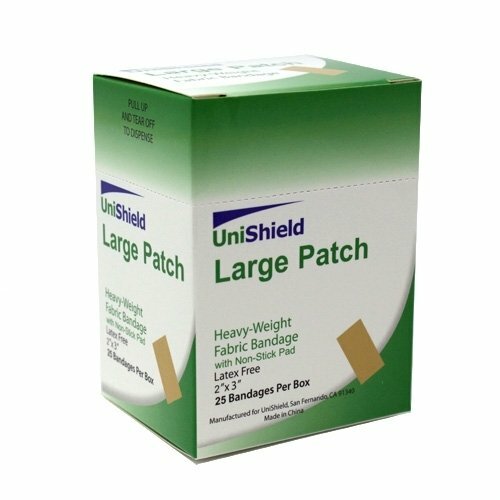 Comfortable, durable, first aid adhesive bandages, made from latex free woven fabric. Quality adhesive stays on strong. 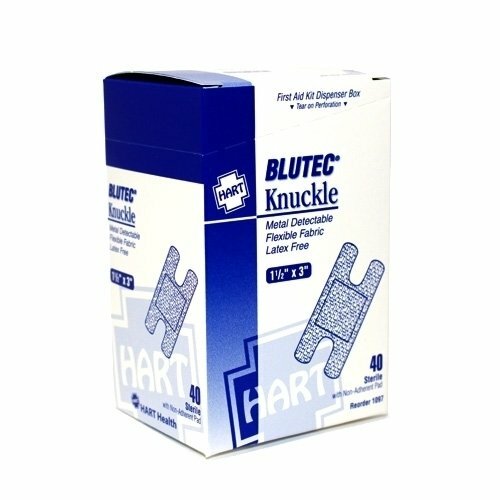 Looking for blue metal detectable adhesive knuckle bandages for your restaurant or food service area? Contact 1st Aid Supplies today! 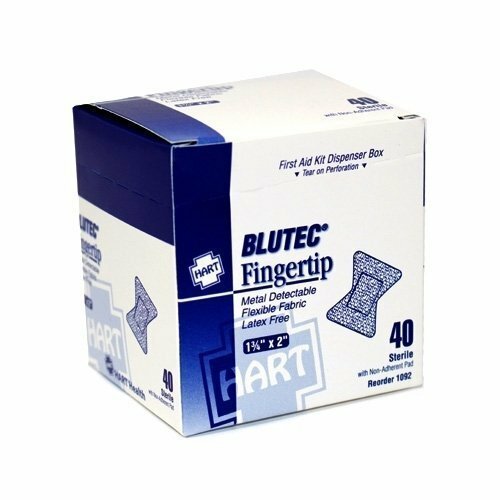 Looking for blue metal detectable adhesive fingertip bandages for your restaurant or food service area? Contact 1st Aid Supplies today! 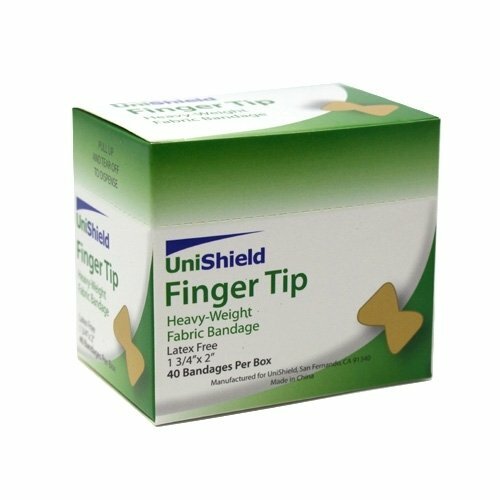 Treat finger wounds right with these fabric adhesive bandages. 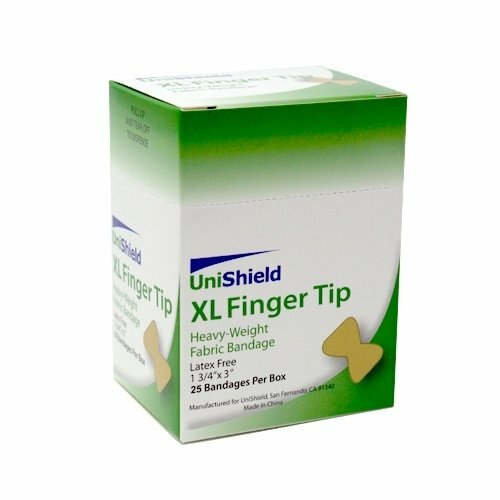 Extra length and off-center pad allows you to wrap twice around most fingers. Looking for blue metal detectable adhesive strip bandages for your restaurant or food service area? Contact 1st Aid Supplies today!